Durian, an exotic fruit widely known as the “king of fruits” is tasty, appetizing, soft, and juicy. This fruit is available in countries like Malaysia and Indonesia and is famous for its unique characteristics. It is grown between June and August and is available more easily during these months. Durian is a high-calorie fruit- about 147kcal/100g. Though it is high in calories, it is free from saturated fats and cholesterol and is rich in good fats. Durian is also rich in dietary fiber, which makes it a good bulk laxative. High in vitamin C (about 33% of daily requirement), it helps in fighting infections and improving immunity. Fresh durian fruit is a very rich source of potassium that helps in controlling heart rate and blood pressure. 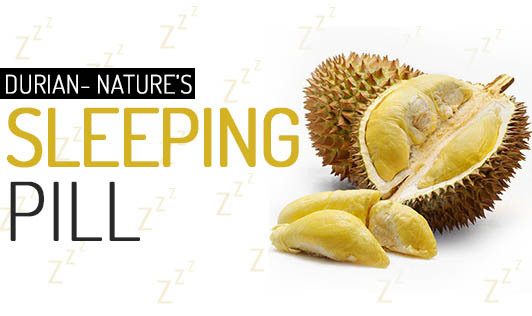 Furthermore, durian is rich in the essential amino acid, tryptophan that plays a vital role in brain chemistry, sleep cycles, and controlling epileptic events. Regardless of the high fat content, durian can be consumed by an overweight individual as it is very filling and as well as safe to eat. For a person who is suffering from depression and sleeplessness this fruit can act as a natural good sleeping pill if consumed in the right quantity. This fruit is hardly available in India, but if you happen to find one, don’t forget to grab it.